The article reports on Riga Universal Terminals ability to quadruple their biomass productivity which has been fueled by the recent demands for renewable energy sources. The CBH system which involves the use of open top container and rotating spreader which utilises existing port equipment to export biomass, or any other bulk commodity for that matter. In Riga Universal Terminals’ case, they used their existing Liebherr MHC cranes and projected a 30 cycles per hour being possible with skilled operators. The article by Word Port Developement goes on to reveal that RUT did a comparison with the work of a small handler with that of the RAM Revolver® and showed that the RAM Revolver out-performed the small handler by 4-1 as the small handler managed 200tph whilst the RAM Revolver® achieved 800tph. You can read the full article by World Port Developement by clicking here. If you require any further information on the Containerised Bulk Handling System, please see our list of case studies, videos and product brochure on our Media page. You can also look through some of current and archive news items regarding the Containerised Bulk Handling System which you can find on our News page. Bolivia President delivers a hearfelt speech at the start of Port of Quijarro exporting urea to Brazil. In a heartfelt speech, Bolivia President Evo Morales spoke at the Port of Quijarro’s historic launch of exporting urea and fertilizer to Brazil. Bolivia have for some twenty years exported natural gas into Brazil, but now with the emergence of Containerised Bulk Handling, Bolivia is now able to export processed gas in the form of fertilizers and urea to Brazil. This not only allows Bolivia to export processed gas in the form of fertilizer to Brazil but also avoid the need for small to large producers to import ferilizer from other countries. The way in which the port is able to export fertilizer is following the introduction of the Containerised Bulk Handling system which uses the RAM Revolver®. The innovative and environmentally friendly bulk handling solution uses sealed containers as a means of transport, storage and discharge. The RAM Revolver® attached to a reach stacker at the port of Quijarro is used to pick up the container, it then automatically removes the lid of the container before the commodity is rotated, gently tipping out the urea into hoppers at the export facility. Speaking at the Port, President Morales said “This is a historic day for us, we’re selling processed gas in the form of fertilizer or urea“. The President went on to say “It is wonderful that we have started exporting LPG and fertilizers“. Click the main image above to see the President of Bolivia speech. For more information on the RAM Revolver® Containerised Bulk Handling, contact your local Sales Agent by clicking here. Back in May this year we reported on Puerto Angamos producing a video showing their containerised bulk handling operation using 3 mobile harbour cranes, each with a RAM Revolver® rotating spreader. Puerto Angamos is making the news again with Mundo Maritimo reporting on their record breaking containerised bulk handling copper concentrate export during the month of October for the terminal. During October of this year, Puerto Angamos achieved a new operational record, transferring 126,000 tons of copper concentrate in one month. This important milestone exceeds the figures obtained previously by the port terminal that, in December 2016, had mobilized 93,503 tons. Click here to read the original Mundo Maritomo news article in Spanish Language. Riga Universal Terminal, located just outside the beautiful city centre of Riga in Latvia has become the first European terminal to introduce the environmentally friendly Containerised Bulk Handling system; using the RAM Revolver® to export biomass materials. A few years ago RUT, a multipurpose port which handles containers, breakbulk, timber and various types of bulk materials, expanded its terminals growth and began handling sunflower pellets, wood pellets and wood chips to fuel the demand for renewable energy sources. Since then, RUT have seen an increase in demand for renewable energy sources, and as a result, had to look for more efficient high capacity loading system to continue growth and meet demand. When considering the different options available, RUT thought about buying a new material handler in the region of 1.3 million Euros, as well as possibly having to sell one of their existing MHC cranes. “This would have meant a huge investment without getting a meaningful profit in return” Ricky Yong CEO of RUT explained. With the support of Liebherr service partner, Alfis Ltd and sales agency Intersafe Marine AB, RAM put forward a recommendation for their RAM Revolver®, with loading rates of up to 45 tonnes per cycle. The Containerised Bulk Handling system utilises the existing Liebherr MHC and with skilled operators, RUT projected 30 cycles per hour being achieved. RUT compared the work of a small handler with that of the RAM Revolver® while loading vessels with wood chips, and found the material handler had a maximum capacity of 200 tons/hour compared to 800 tons/hour on the first usage of the RAM Revolver®. RAM are delighted to hear that TPT’s introduction of the Containerised Bulk Handling system using the RAM Revolver at the Port Elizabeth Container Terminal has delighted customers, an article published in South Africa press reveals. Since 2013, The Port Elizabeth Terminal has been ranked the highest in Africa for moves per hour, and is South Africa’s first terminal to load bulk ore carrying vessels using ship to shore cranes with RAM Revolver spreaders. This achievement is all down to the wealth of experience and the innovative technical team at Transnet Port Terminal’s Port Elizabeth Terminal, which has helped save the company millions of Rands, improving turnaround time and setting loading records to meet customer expectations in May 2017. The article showed the innovative technology introduced by TPT for loading bulk ore has enabled customers to export more than 2.5 million tons of manganese ore over the past four years; which has shown an increase in export volume by an average of 22.5 percent year-on-year. Customers demand for capacity, increased loading rates and reduced vessel stay time at the port grew. As a result, TPT introduced 2 more RAM Revolver’s complimenting the terminal with 3 fully operational adjacent cranes, allowing all three hatches of a vessel to be loaded simultaneously. Recently the terminal broke yet another record in achieving a loading rate of 14,230 tons of Manganese ore in just 12 hours. The way in which this terminal has broken records in bulk export in South Africa, and that customer’s satisfaction and confidence has grown; will no doubt lead to increased business and new business growth for the Terminal. RAM Spreaders has been officially recognised in the group of Singapore Fast Moving Companies with the SME100 Award 2017. The selection involved a number of evaluations including a financial audit and onsite inspection. 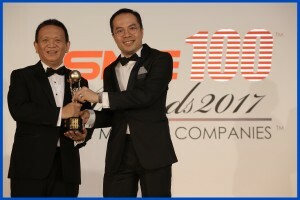 The SME100 Awards were held at a glittering dinner function at the Marina Bay Sands in Singapore on July 7th. 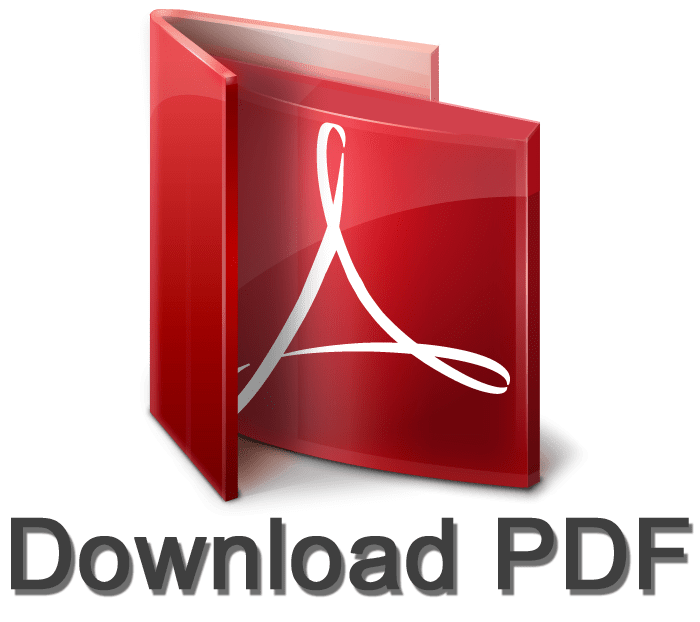 The Awards Ceremony recognises and honours some of the best and upcoming small and medium enterprises (SME) in Singapore for the important role they play in the country’s economy. SME Magazine group publisher and editor-in-chief William Ng presented the award to RAM Spreaders, who were one of the top 30 winners at the gala event. Receiving the award Mr Philip Lee, Chief Exectutive Officer of RAM Spreaders said “Being named as one of the SME100 winners this year is a great honour“. Philip went on to say “Recognition is the greatest motivator and this award will serve not just as recognition of what we have achieved so far, but also a motivator for RAM Spreaders to aim higher and achieve greater heights in the future“. To view the full article produced by SME please click here. Originally posted on their official YouTube channel in April 2017, HPH TIMSA demonstrate the new innovative bulk handling process called “Containerised Bulk Handling”. This innovative containerised bulk handling solution using the RAM Revolver deployed by TIMSA has significantly improved logistics for Mexican exporters of mineral bulk and concentrates adding efficiency to their operations. HPH Official Press Release click here.